From sweet to savoury. I took a break for Korean Buttercream Cakes to cook my favorite food, Penang Siamese Laksa. It is also known as Laksa Lemak. 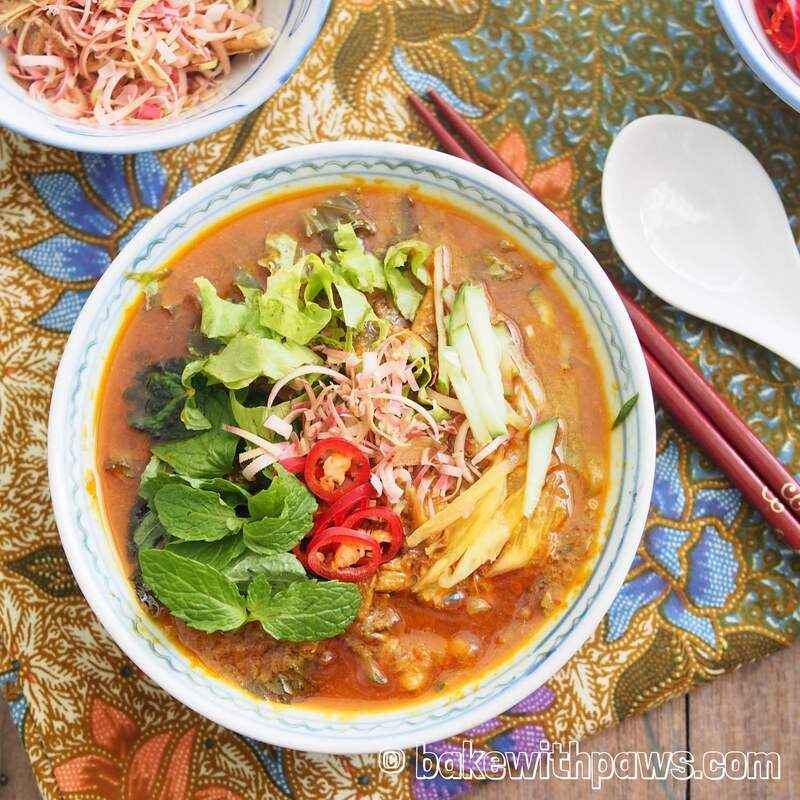 It is quite similar to Penang Asam Laksa with the addition of coconut milk and a few more herbs. 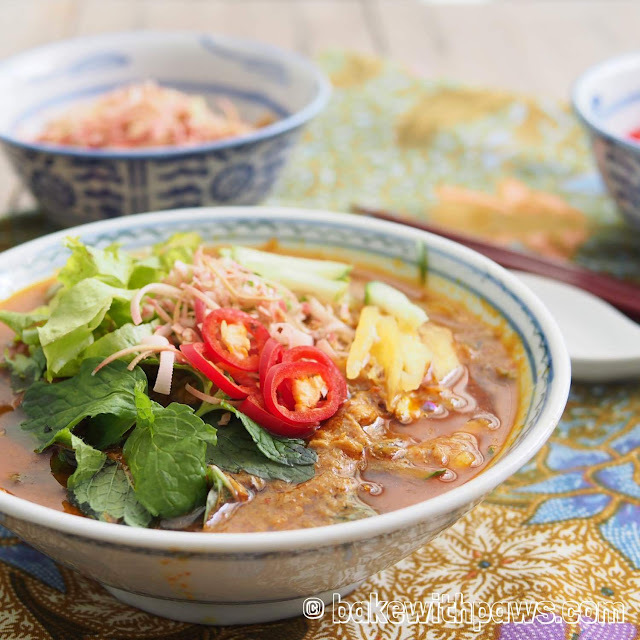 There are many methods and recipes for Penang Laksa and this is my own recipe that I tried and found successful. Boil the fish in a big pot of water (1.5 liters) for around 10 minutes until the fish is cooked. Remove fish from the pot and let cool before deboning the fish. Do not discard the fish broth. Keep the fish meat and broth aside separately. In another big pot, heat some oil and fry the spice paste till aromatic or fragrant. Then add fresh herbs (bunga kantan, daun kesom, lengkuas, lemongrass and kaffir lime leaves) and asam keeping. Next add the reserved fish broth, santan, asam jawa juice and balance of water. Bring the laksa stock to boil then lower the heat and simmer for 1.5 to 2 hours until aromatic. Add more water if stock is too thick. Remove the lengkuas, lemongrass and kaffir lime leaves from the stock. If you prefer more lemak (creamy) stock, just add more coconut milk.